Aleya Sen’s prolific career as an ad film maker has garnered many accolades, she now focuses on her first feature film. “If you love what you do, then you haven’t worked a single day in your life,” sits perfectly in sync with Aleya Sen’s passion about her work. 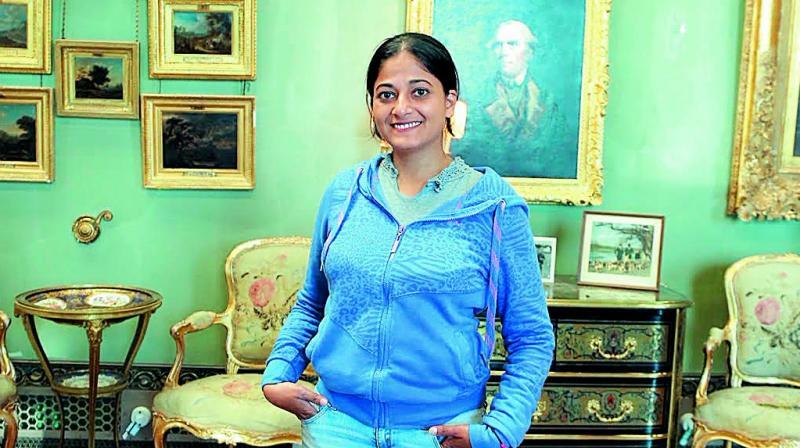 Born and brought up in Delhi and based in Mumbai, Aleya Sen, 38 years old, is a prolific ad film maker with over 300 films to her name. She has been awarded the Asia Pacific AdFest, True Awards, ProMax Asia, BDA World Gold Awards and Dada Saheb Phalke Film Awards in 2013 for Salaam Bombay Foundation’s Anti-Tobacco campaign and the best film award in 2015 for Wagh Bakri. She co-directed and produced the Silent National Anthem, a distinguished public message video featuring students with hearing and speech impairment ‘singing’ the national anthem in sign language. It won the Bronze at the Cannes Lion and Gold at the Goa Film Festival. Aleya is currently working on her maiden Hindi feature film, due for release next year. She gets candid as we talk to her about her work and future plans. A restless soul if she does not work, she needs something engaging her mind constantly. Apart from work, she loves to travel. “I tried hard to work on my restlessness through meditation but did not succeed,” says Sen, adding, “I am at the finishing stages (of my film) so I am anxious,” about her upcoming film. Her journey from advertising to feature films is a different ball game altogether though the technical aspects may be similar. The dedication and passion is same even though the shooting process has been different because in advertising one shoots for two to three days, or at the most five. “This is my first stint with a feature film and there is no comparison to ad films and I know that as I have been into advertising for a long time. My father was also into advertising so from a very young age, I have known everything about it. It was but natural that I would choose the path. Even today, I would love to make an ad — 30 seconds to be able to tell a story is very cool. I am excited about my feature film. It is a different experience. I wrote the script in a fun way with a lot of characters so the entire process of writing was very interesting. My sister was with me, and we would work on the script together, with a friend — very different from advertising. In an ad, I get a script, I improvise and I direct,” she elaborates. She feels that whilst working on ad films, there is a professional bond between colleagues, but eventually one moves on. The process is very quick, sharp, deadline-based, corporate structure, all a working style of advertising. It is very straight and direct, to the point for her. “When you’re working for two days as opposed to 30 days at a stretch, that is the difference, and one feels the transformation with a first feature film. In advertising, I know the rhythm and how things go about. When I worked on my feature film, I thought that I will have to work longer at a stretch. My first shoot was in London — for 30 to 35 days I was with the same cast, crew with long working hours and then coming back to the hotel with the same people, so it became a family by default,” she adds. “Thanks to my childhood, certain things have been very structured in me. For instance, if I’ve been given a choice — a colour or a sound, I am very sharp (to recognise). This is because from a very young age, I was trained in these aspects. For example, if you keep going to a music class, whether you like it or not, your mind gets trained into the beat, rhythm etc,” she explains. “To be very honest, I do love awards as I’m a super ambitious person. I love my work so much, it is very difficult to express. I don’t shy away from the fact that I am way too ambitious. It is not a job but a creation of magical content which makes the audience interested and there is the chemistry of acting, that I look into — background, production, art direction, costumes and the visual collaboration as well,” she goes on. As co-owner of Chrome Pictures, she feels her favourite film is Wagh Bakri, as a director. It won the best film award in 2015. She also does social work, “We have an NGO that helps special children and the needy, shelter homes with tube wells, in a small way. I wish we could go all out as the country needs it right now,” she signs off.